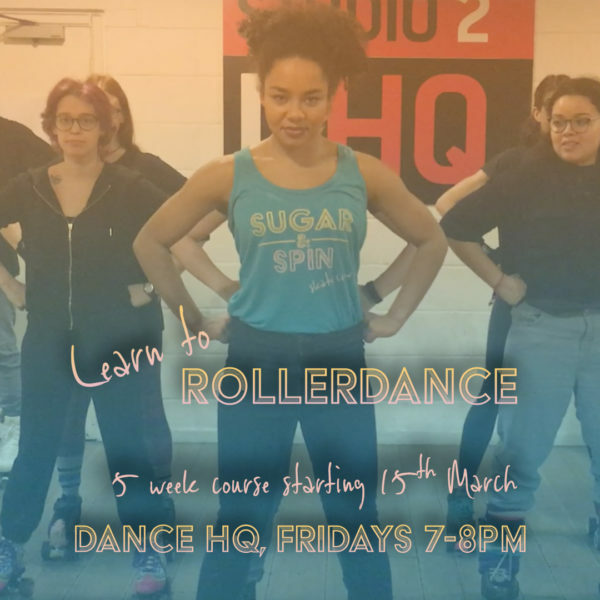 Home / Shop / Classes / Learn to Roller Dance! Learn to roller dance with Sugar and Spin! 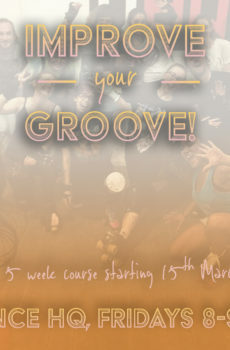 Through our 5 week course you will learn the basics of roller dance, grooving to some classic funk and soul tunes. This course is great for adult skaters of all experience levels, including beginners. However it is recommended that participants can roll forward, stop, and step to the side and backwards on rollerskates before attending this class. You will also need your own skates and protection. By booking the class online you’ll save £5 from paying on the door, as well as guaranteeing a spot. You’ll also get a gift certificate download in case this is a present for someone. Nice one! Every Friday from the 15th of March to the 12th April 2019. Improve your Groove with Sugar and Spin! 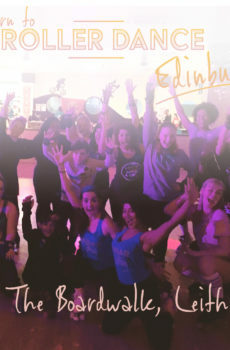 Edinburgh – Learn to Roller Dance! Sugar and Spin are coming to Edinburgh! 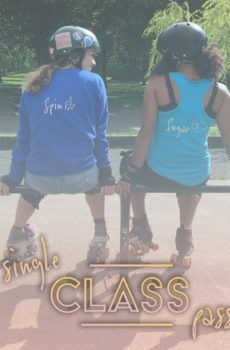 Sugar and Spin’s Single Class Pass!